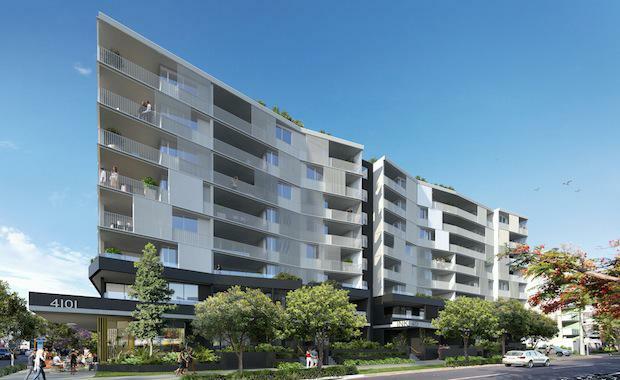 Queensland based property developer Turrisi Properties have teamed up with nationally renowned architecture firm Rothelowman to announce the unveiling of INK Apartments: a creative living space on the edge of the new Kuripla Neighbourhood in West End, Brisbane. The apartment block, marketed by CBRE Residential Projects Brisbane, offers 107, one, two, three and three bedroom plus MPR apartments as well as courtyard apartments and skyhomes, all situated in an eight storey building. The $60 million development has been designed to express the mix of an industrial warehouses with that of the established ‘Victorian Era’ houses, located nearby. “The Architectural language draws heavily on the eclectic nature of the remnant historical built-­‐form to influence and guide the design," Jeff Brown, Principal Architect, Rothelowman, said. Located on the corner of Montague Road and Donkin Street, INK Apartments is a part of the Riverfront Renewal Plan for West End, where twenty-five hectares of industrial land will be transformed into inner city urban living. According to the current master plan, Kuripla will be a ‘new riverfront destination, a sophisticated inner-city community with a mix of contemporary apartments, state-of-the-art office and world-class cultural venues. Following the successful sellout and completion of previous project, The Glass Factory in West End, Turrisi Properties is taking advantage of the huge value upswing in Brisbane as its largest renewal project in two decades starts to evolve. According to Paul Barrett, Managing Director of CBRE Residential Projects Brisbane, unit prices in Brisbane are now 30-40 per cent cheaper than Sydney. “Prices are all but certain to increase as the market corrects itself, so buying on the doorstep of this huge urban renewal precinct at a time when prices are affordable makes a lot of sense,” Mr Barrett said. “The precinct west of Montague Road between Donkin Street and Davies Park has always been on our radar, as it offers the best of everything with its close proximity to the river, Davies Park and is an easy stroll to bustling Boundary Street," Development Manager of Turrisi Properties, Ben Jobber said. Brisbane Times, the overall revamped area will home 11,000 additional residents as well as create 8,000 new jobs. INK is set to officially unveil on the 28th of March 2015. With Brisbane City Council approval earlier this month, construction will commence in late 2015.